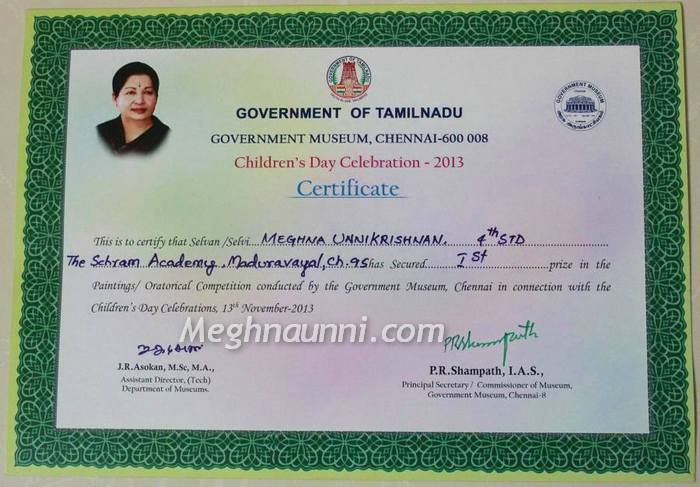 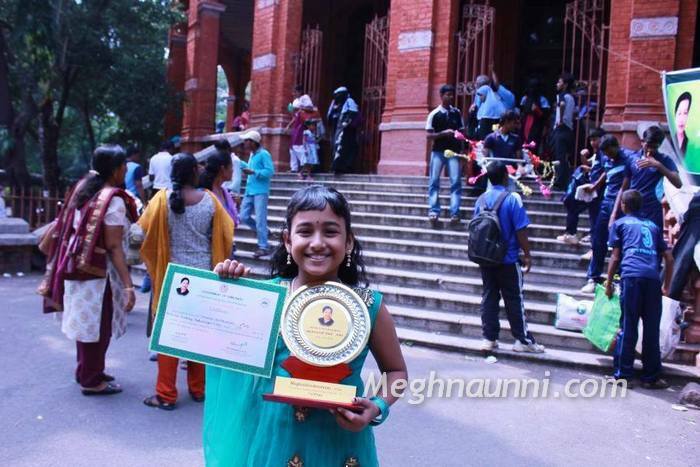 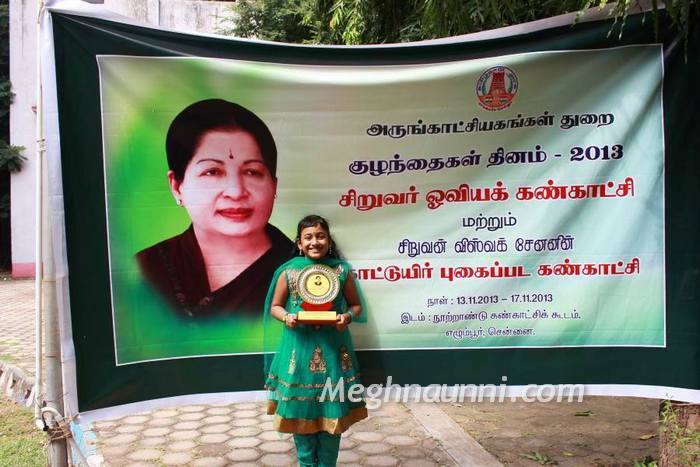 Meghna won first prize in Drawing in the Children’s Day competitions conducted by Chennai Government Museum, Egmore in November 2013. 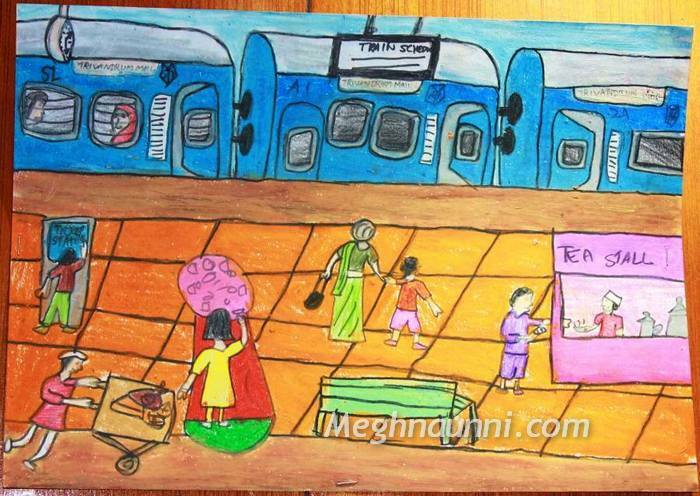 She selected the theme Railway Station and drew this picture. 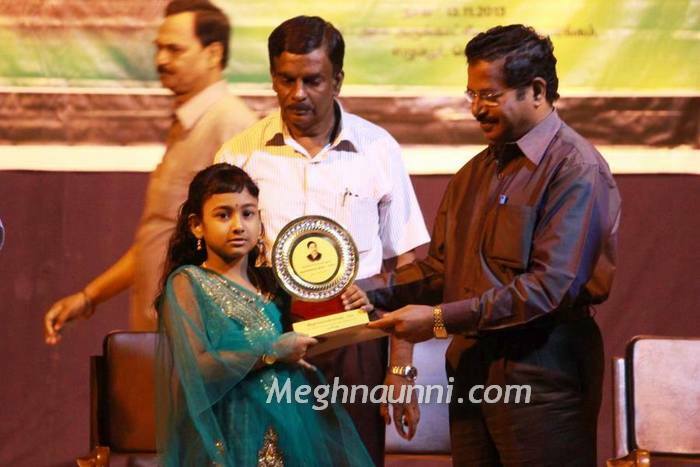 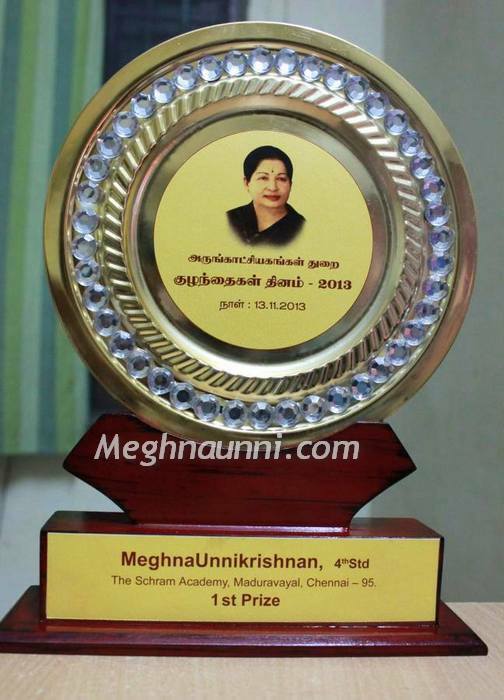 She is presented with a beautiful trophy and a certificate by Mr P.R.Shampath I.A.S., Principal Secretary/Commissioner of Museum, Govt Museum, Chennai on November 13th, 2013 at the Museum Theatre Hall.